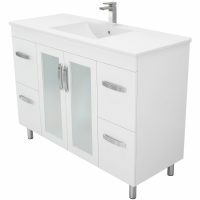 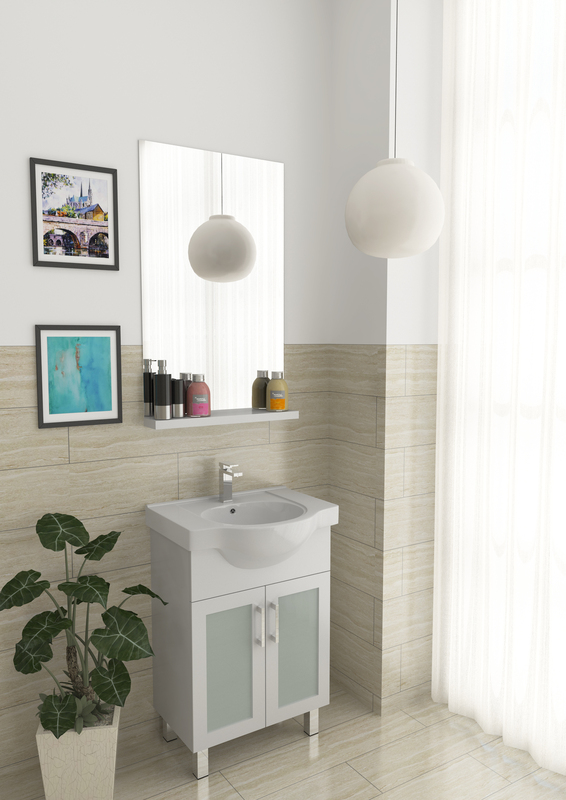 Ceramic Semi Recessed Vanity Top, White 2-pac Cabinet, Standard with Soft Close Doors, 16mm Thick Backing Board, Glass Doors, Legs, kickboard or wall hung. Choose the Charli Semi Recessed vanity to give your bathroom a stylish makeover. 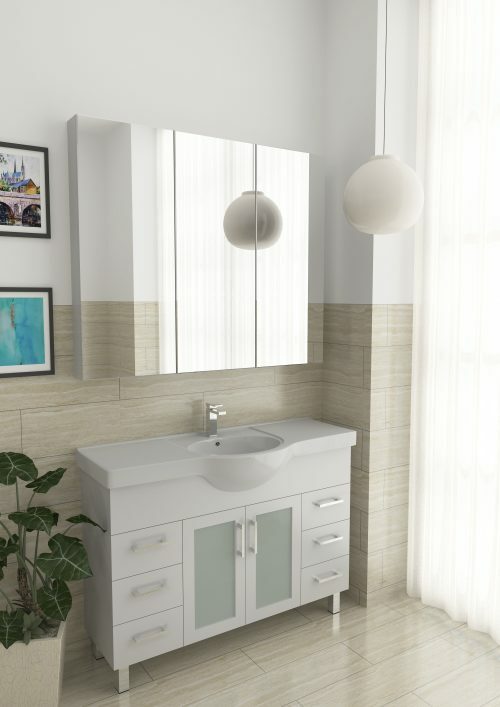 This elegant looking bathroom vanity is beautifully designed and is incredibly functional as well. 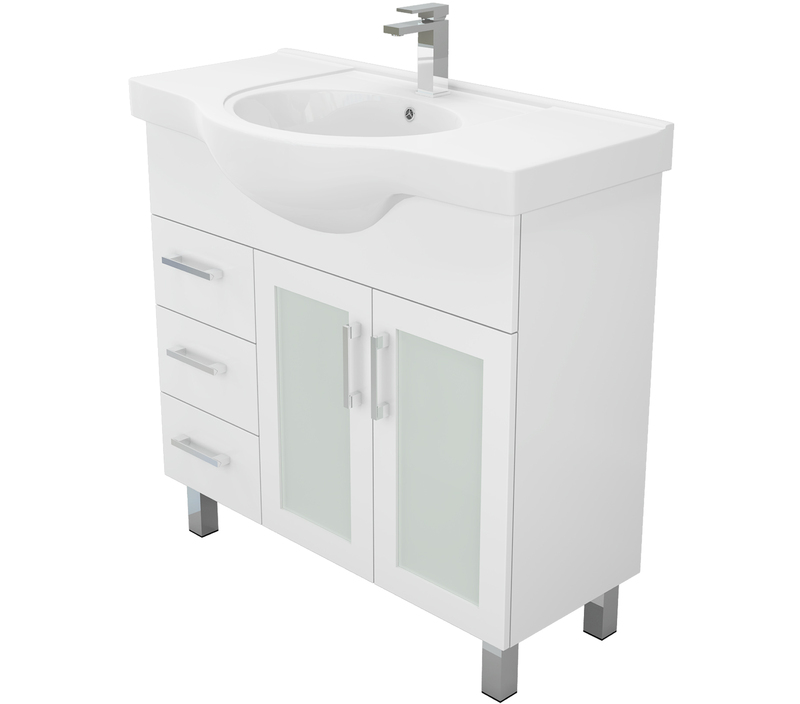 By installing the Charli Semi Recessed vanity in your bathroom, you will get all the storage you need. 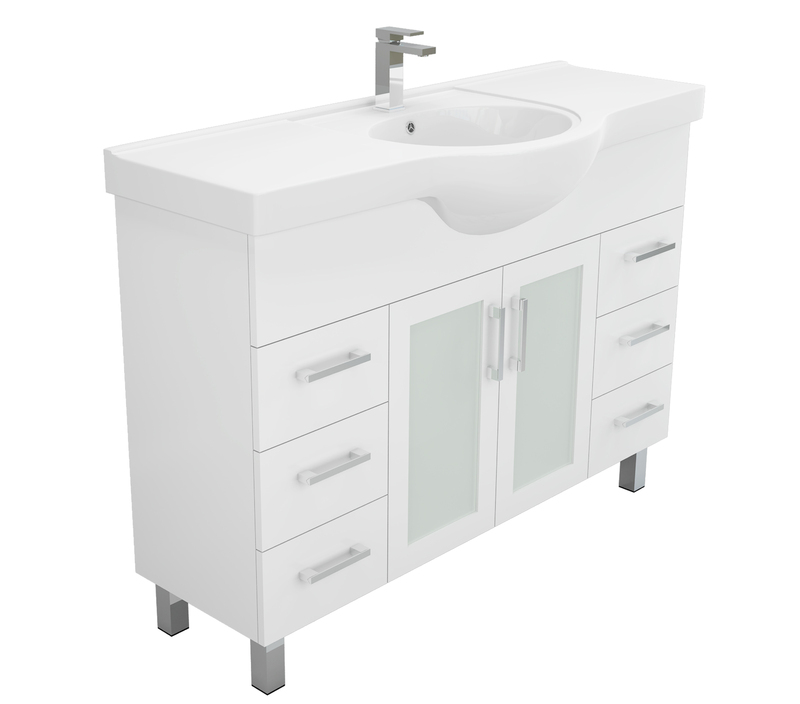 The Charli Semi Recessed vanity features a glossy white 2 pac painted finish surface, which make it highly durable. 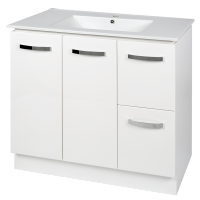 It includes soft closing drawers and doors for prolonged life and a slim benchtop made out of vitreous china. This bathroom vanity is also equipped with an overflow. The Charli Semi Recessed vanity offers a lot of charm. 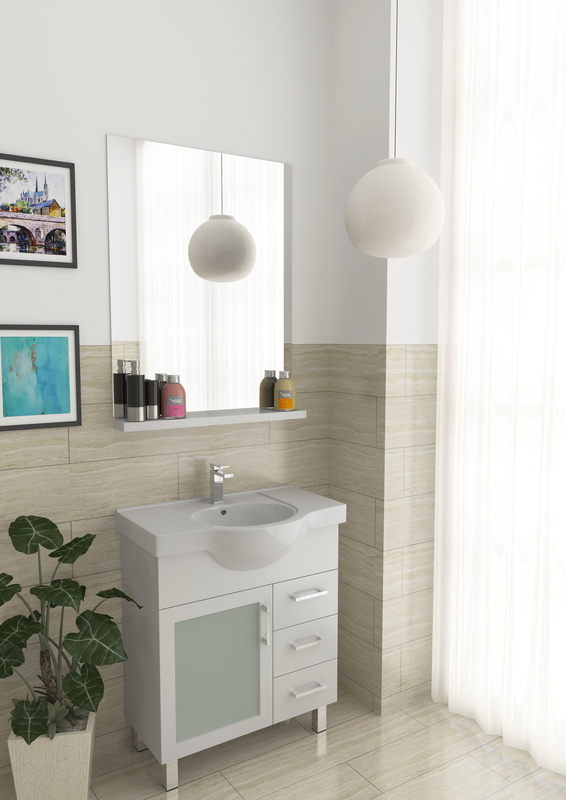 While it comes with a kickboard or legs, you can also choose to use hang it as a wall hung vanity. This will certainly modernise any bathroom it is placed into. 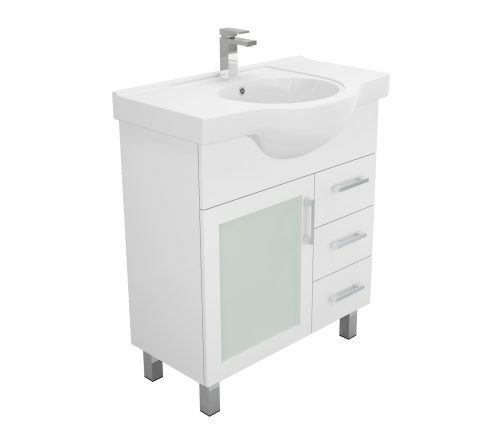 The Charli Semi Recessed vanity is available in width options of 60cm, 75cm, 90cm and 120cm for you to choose from. 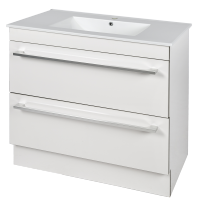 The Charli Semi Recessed vanity is built to last several years of usage. Thanks to a 16mm solid backing board, it is highly robust and sturdy. As a superior quality product, this vanity cabinet offers fantastic value for money. 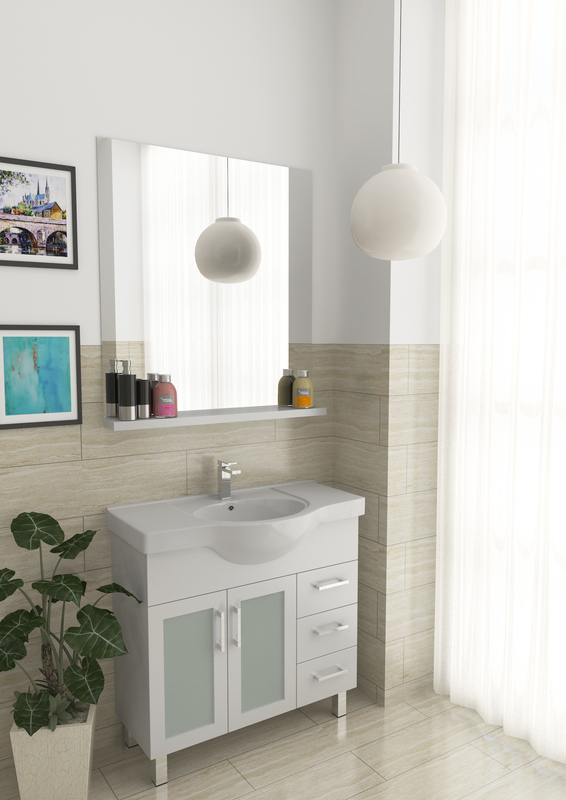 A modern and robust bathroom vanity need not cost a fortune! 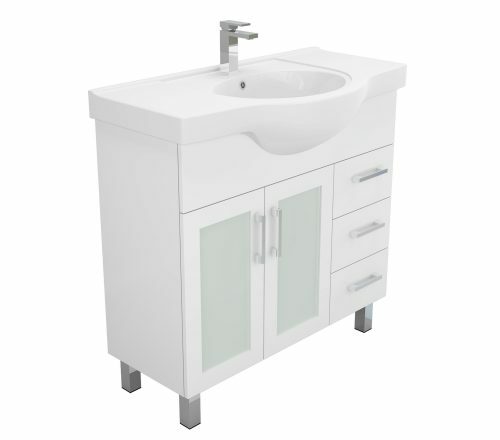 At Ross’s Discount Home Centre, the Charli Semi Recessed vanity is available at a surprisingly affordable price. 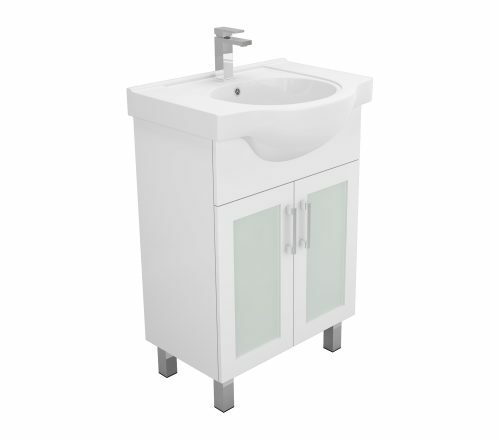 So, go ahead and buy this affordable bathroom vanity today!